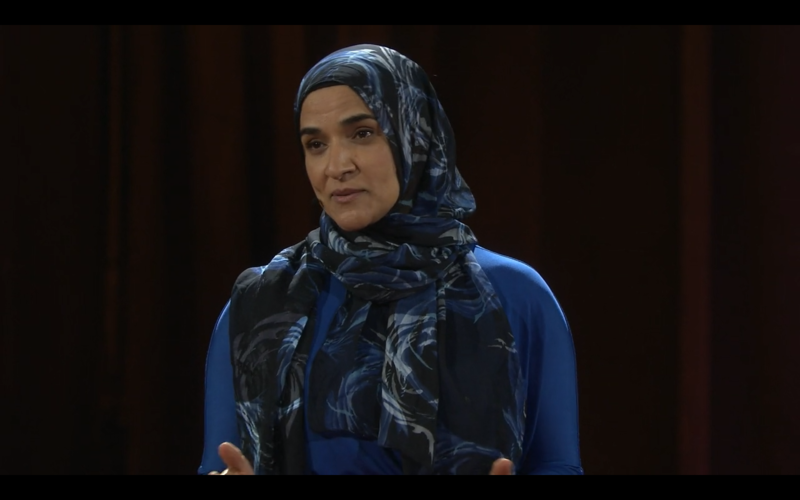 You might have seen Dalia Mogahed, the Director of Research at the Institute for Social Policy and Understanding, recently at the Daily Show With Trevor Noah — shedding light into the myths and misconceptions about Islam. In February, she was recently invited to the TED 2016 Conference in Vancouver, Canada. Mogahed talks about her identity as a practicing Muslim, but also as a mom, a coffee lover, an introvert and a wannabe fitness fanatic. She delves into the preconceived notions and views of Muslims in the U.S. today and why it’s important to understand just why these perceptions continue to create such strong backlash in our communities. This conversation is not one to miss. Watch the full video here at the official TED website. She did a great job – and I don’t know if it was a slightly different format, but it was nice to see the host/MC talk to her briefly afterwards with the follow up question. Watched this earlier tonight – but on the big screen (thank you Smart TV and TED app hehe).